eat sleep cuddle. : apple pie tart for two. 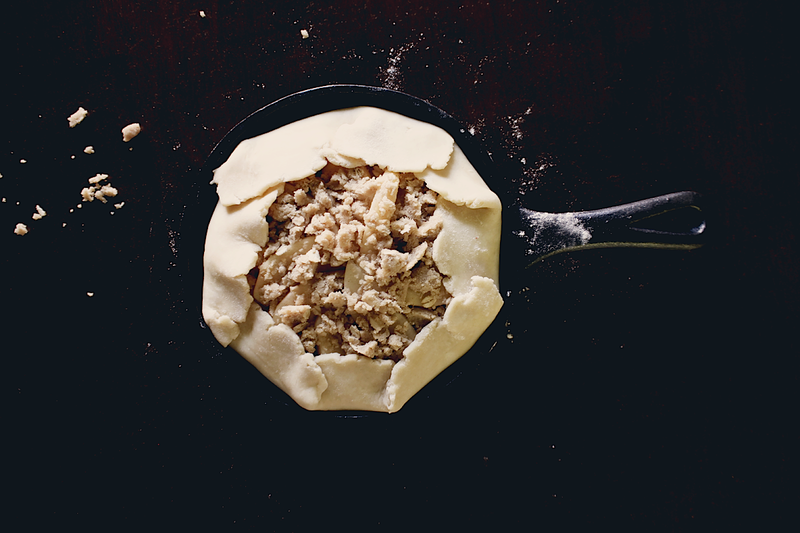 apple pie tart for two. 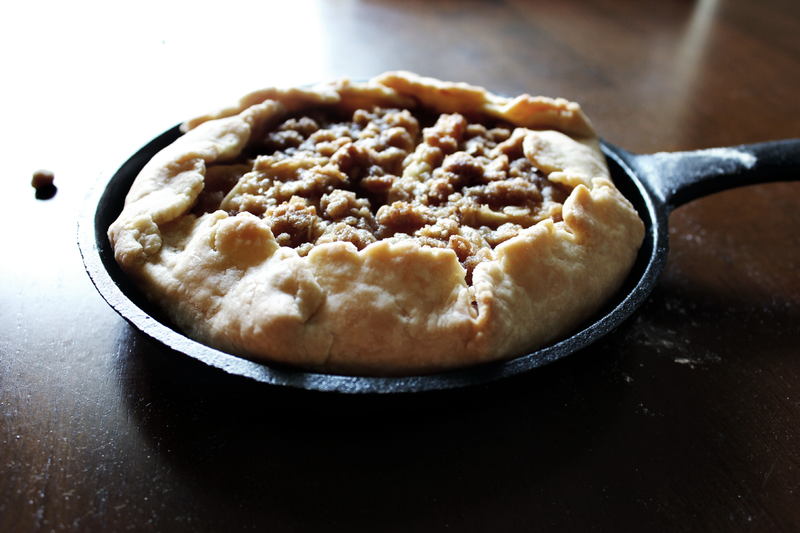 *i halved this pie crust recipe, added sugar & cinnamon to the slices of one apple, and added butter to some leftover crumb topping i had in my cupboard. baked in a mini cast iron skillet for 45 minutes, covering with foil for the last 15 minutes.